General Information: Grown in California, this incredible winter salad mix has been hand-assembled for our most cutting-edge culinary customers. 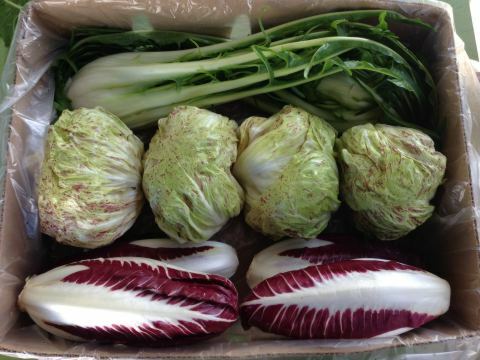 A rich and flavorful combination of the best winter Italian greens: Castlefranco, Puntarelle and Treviso. A variety of flavors underscored by a distinct bitterness that will compliment a rich cheese or roasted root salad. By presenting full heads of each type of chicory, there are a variety of preparation options, raw, grilled, roasted - these greens can be combined or served separately.